This past week I had both of my final exams for the semester. I had two weeks to prepare for them after classes had ended, but in true Christian Leathley form, I waited until the 4 days prior to the first one to start studying. The exams were in back-to-back days, so I had to manage my study time in a mature, organized fashion. I spent the first day collecting all of the materials I would need to ace these finals, including power point downloads and practice exams. The next day I spent a few hours at the library and then took a study break to the golf course for a quick nine holes. I spent a small amount of time studying before bed that night. The next day I studied most of the day at the Marsh study center, which is a convenient 30-second walk from my place of residence. Despite this short distance, I had managed not to spend much time in this building this semester, as I have done most of my work in my room. I soon discovered that it was a beautiful area with many seating places and a small café if you are in need of a snack break. I still managed to get a good night’s rest before rising at 7 am on Thursday morning to study until the final at 2:30 pm. This final was for my Movement Analysis and Control class. I entered the room with my pencil, student ID, and calculator, ready for the worst. We were seated in vertical rows, with each row being very far apart to ensure that no wandering eyes would be present during the exam. The proctor then read aloud instructions about the test, and we filled in our names and ID numbers. This was eerily similar to the dreaded standardized tests from my teenage years. I began the exam feeling confident during the multiple-choice questions, before my focus wavered during the short answer section. Part of this class was focused on the mathematical portion of biomechanics, as were required to know how to calculate angles of force, displacement, and so on. I did my best to remember all of the equations from my studies (we were not given an equation sheet to my dismay), but could not recall one or two of the equations that happened to appear as necessary on the exam. I eventually finished, confident that I did well enough to give me a decent overall grade in the class. The course structure here is far different from Hope College, and most American schools. During the semester, there is not much work to be done, outside of a few papers, lab reports, or shortened tests. Therefore, the finals are heavily weighed in relation to the overall class. My Movement Analysis and Control final was worth 50% of my grade. My next final, Foundations of Epidemiology, was worth a staggering 65% of the semester grade. After a short break to ease my mind, I went right back to studying until late at night. I woke up around 6 am to try and squeeze a few more facts into my seemingly full brain before my 9:30 am exam. This exam, however, I was not too worried about, as I had done well on the 2 short tests during the semester. I breezed right through the exam, as expected, and was home free. I now have 3 full weeks to explore more of New Zealand before I say goodbye and head back to America. 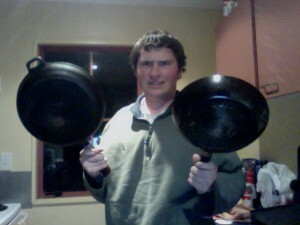 The following is an interview I conducted with a native New Zealander, my Kiwi host, and very good friend, Tim Neilson. Christian: Let’s get the obvious question out of the way first, what is your favorite part of living in New Zealand? Tim: Probably just the chilled-outness of the place, really. Everyone here is really cool. New Zealand comes across as one of the friendliest countries in the world. It was meant to be surpassed by Iceland, but I think, realistically, New Zealand is friendlier. Everything is chilled-out, we all get along really well. We’re very open and welcoming to people from other countries. C: Where is your favorite place to go in New Zealand? T: My favorite place is Stewart Island, which is a wee island down on the bottom of the South Island. It’s basically New Zealand the way it used to be before it was overcome with immigration. C: What’s it like to be a Kiwi host? T: Everyone has something new to teach you, and in the increased globalization in the economy around the world, it’s interesting to get different takes and learn different ways of life and how they compare to things on this side of the world. C: What’s your favorite recreational activity? T: In New Zealand we’ve got a huge thing about “doing nothing much”. One thing I’ve noticed about Americans is that you always have to be doing something. Over here we spend a lot of time just hanging out, sipping some drinks and talking. C: You grew up in the second half of your childhood on a farm. C: Right, orchard. What was that like? T: I think rural is the word you’re looking for, but whatever. It was only 10 minutes from the township, but it was a small township. It was 70 acres worth so it was more than what you’d get in town. We had motorbikes, we learned how to ride, learned how to drive, and learned how to shoot. Things you couldn’t really do in town. It’s been really nice. C: Rattle off as many Kiwi phrases that you can think of. T: Sweet as, she’ll be right, all sorted, keen as, basically throw “as” in the end of words. C: Describe the rivalry New Zealanders seem to have with Australia. T: I wouldn’t say it’s a rivalry. It’s more of the same love-hate relationship [as America has with Canada]. We love to beat Australia and they love to beat us. It’s the same relationship as with any close neighbors. It’s just engrained in you. It’s something we’ve always had, I suppose. C: Last words of wisdom for an American who would like to visit New Zealand. T: I would say, just do it. I honestly haven’t met an American who hasn’t wanted to come back or move here permanently. C: Thanks, Tim. Make sure you come to America someday. We’ll be waiting for you. As I awake from my slumber in a foggy haze on Saturday, the 7th of September, I look at the time and realize I have no discernable reason for waking up. However, instead of returning to my comatose state to try and get a few more REM’s, I decide to grab my laptop and play a bit of Pokémon: Leaf Green to get my brain active. After exploring the Kanto region for about an hour, I prepare for the day. With not much planned on this lazy Saturday, my flat mates and I decide to head off for a mission to Shag Point. Upon arriving, we immediately catch a glimpse of a napping furry seal. The nearby sign indicates that they are very territorial, and you should not come between them and the water. Taking these words to heart, we snap a couple pictures before doing some more exploring. Spotting a seal emerging from the sea to get some shut-eye down below, I decide to climb down the rocks to get a better look. As I come within 15 feet of the creature, he lets out a loud bellow, indicating that I should leave him alone. I proceed to sprint away as the noise he made was rather frightening. The adventure soon came to a close as we made our way back to the city. After waking up at 5:00 am to watch the Detroit Lions play football, I begin class at 10:00 am. I walk to the Castle lecture theater to see another power point presentation on PHSE 202: Movement Analysis and Control. I have a brief break from 11-12 before resuming class in St. David’s lecture theater at noon for HEAL 192: Foundations of Epidemiology. This is the largest lecture theater on campus, yet it is filled for each lecture. I am led to believe there are over 1200 students taking this course, as it is required at this school for anyone who is pre-health. At 4:00 pm, I have tutorial for HEAL 192. This occurs every other Monday, and is basically a workshop to enhance your understanding of the course material. For dinner, my flat mate Dan and I attempt to make a chicken stir fry/curry type of dish, but our lack of refined culinary skills cause the product to be rather disagreeable. To make up for the poor taste, I finish the meal off with a delicious PB&J. I begin the day by hurriedly putting the finishing touches on a homework assignment for the 2:00 laboratory I have for PHSE 202. At the start, the lab instructor delightfully informs us that today’s lab will not require the full 3 hours, and shouldn’t be too much of a bother. It turns out to be a rather enjoyable experiment, as we use motion-capture technology to examine stride length during both running and walking on a treadmill. After class, I return home to see several of my flat mates relaxing in the living room. We decide to spice things up by turning on a kick-boxing workout video to get our hearts pumping and sweat glands active. It’s important to stay in decent shape while in New Zealand, as there are always mountains that need to be traversed. Having no class today, I took the opportunity to relax, as well as have a nice solo jam session in the drum room of the University music studio. For dinner, we head out to a nice Turkish restaurant for our flat mate Whitney’s 21st birthday celebration. Whitney is a short, blonde Canadian from a small city between Vancouver and Calgary. She enjoys small animals, yelling, and is a fabulous cook. The Turkish meal itself is delicious, and the restaurant provides us with crayons to draw on the table. Still, eating out here is rather expensive, and causes me much grief when I arrive to the cash register to pay my dues. This is the main reason why I have been eating pasta and bread day in and day out. Still, life goes on. On yet another lazy Saturday, my flat mates and I embark on another mission. This time we head to Mount Cargill, which overlooks Dunedin. On the hike up, there is a place called the Organ Pipes, which are large rocks that form the shape of the previously listed name. My good friend Dan, who is a geology major, is unable to describe to me how they attained that shape. I let it slide, as he often is helpful in teaching us about different geodes. At the top, we are greeted by a stunning 360 degree view of Dunedin and the surrounding area. To the far west, we can spot snowy mountains creeping over the hills. Down below, we see the Otago Peninsula jutting out into the ocean. A vast expanse of water lies before us. And to our north and south: lush, rolling pastures create a sea of green, a dazzling sensation to behold. Such views have become commonplace during my time here in New Zealand. God surely smiles upon his wondrous creation. The nighttime brought more fun and games to our complex, as we spent valuable time together creating memories for years to come. As I reflect on the past week, and the week yet to come, I gaze upon the morning sun, the dew on the grass, the smiles on the faces of my friends, and I thank the Lord above for his gracious bounty. There is work to be done in the coming days. I have a test on Friday for HEAL 192, which I am all but positive I will ace. I also have to complete my laboratory report from Tuesday’s experiment. Furthermore, I have my percussion technical for my music class in 2 weeks. It involves 5, 7, and 9 beat double-hit rolls, different patterns of beats using the entire drum kit, and reading/performing a piece of music. 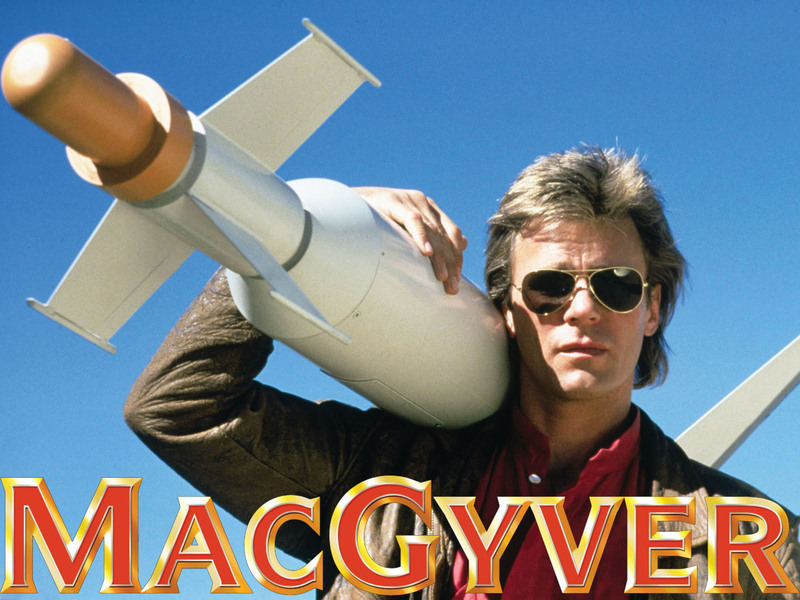 For the latter, the professor selected the theme song from the 90’s show MacGyver. This is one final I am sure to enjoy. Yet while I’m handed a steady dose of scholastic material to keep me busy, I still manage to find myself whisked away to magical lands each week. I only have 2 months left in New Zealand, but I still have so much to see. PB&J count: I’m pretty sure I’m closing in on triple digits. So I’ve been in New Zealand for 4 weeks now, and through absolutely no fault of my own, just got this blog set up. Now it’s time to get everyone reading caught up to speed on what’s going on over here in the Land of the Long White Cloud. However, due to the number of amazingly fun adventures, of which you are sure to be jealous, along with the strange yet titillating mini-adventures on which I have embarked, I have decided to make a 2-part recap of the last 4 weeks. This is PB&J’s for Second Breakfast, Part 1. June 22: A warm, sunny day on the southwest side of the greater Detroit area. It started off just as I anticipated; my mother’s bi-annual baking of my favorite cinnamon rolls. In a pack of 10, 200 calories each, I inhaled my all-time favorite breakfast, soaking up the 2,000 calories in mere minutes. However, this day was unlike the other times I had eaten this delicious concoction. Normally I would sit around the house for a few hours, allowing my digestive system to undergo a complete overhaul. Instead, I had to rush to my room to complete my packing before driving to the beautiful Detroit Airport. After saying my goodbyes to my loving parents, I hopped on the plane, with a stop in Chicago, and over to LAX. With a 5 hour layover, I took my time to navigate the surprisingly confusing and overwhelming airport to make my way to the proper terminal. About 13 hours later, I was in Auckland, New Zealand. Along with the rest of my GlobaLinks group (About 50 students), we made our way to the tour bus as the sun rose over the green pastures surrounding the airport. Our first stop was to a hill (the hill’s name I cannot recall) overlooking the city. It was a gorgeous view at the top; a great way to start my long journey. We returned to the hotel, went to our rooms, and, after far too long, showered. With a fresh, clean feeling, we were free to roam about the city, with only a short meeting and nighttime meal on our schedule. The meeting was enjoyable, as we met our leaders for the week, Paul and Tyme (both Kiwis). We did the usual, icebreakers and safety protocol, while they read us stories of former students who got into some trouble during their time in the country. Being a risk-taker myself, I felt no fear. After the meeting, we were free to explore. With a few other students, I walked about, stopping at the pier, as well as having a beer in a local pub. Shortly after, I separated from the group, walking about the city on my lonesome. I entered shops here and there, as well as further explorations of the pier. Later that night, we had a dinner paid for by the program (as most of our meals during the week would be), and returned to the hotel. While some students were keen on having a few drinks that night. I was determined to go to bed at a reasonable hour. However, instead of listening to my gut and overcoming jet lag, I realized I only had one night in Auckland, and I wanted to see the city. So I went out alone, and explored the nearby casino. I spend about 30 minutes watching gamblers play craps, roulette, and a few card games before heading out. I ran into a few other students, and with them we explored the city before I returned to bed to restore my internal clock. We left the next morning for Rotorua, a few hours drive from Auckland, for 4 days of great adventure. We had a couple more meetings each day, but the real excitement came from the extras. On one of the days, we went on our pre-booked adventures. I chose white-water rafting. While not quite as intense as my previous white-water experience as a teen, this river was absolutely gorgeous, and included a 7 meter waterfall drop (the largest commercially rafted waterfall in the world). I got a special treat, as my raft flipped over and we were dumped into the water. It was truly invigorating. The next day we went to the Waitomo caves. Here, we repelled down waterfalls, squeezed through holes, and viewed glow worms 2 inches from our faces in the pitch black (to date, this is my favorite experience here in NZ). It was amazing. I felt like I was on the film crew for Planet Earth. We departed the next day for our individual universities around the country, hopping aboard some small planes out of a disturbingly low security airport. I arrived in Dunedin with a handful of other GlobaLinks students, hopped aboard a shuttle, and arrived to my flat at night. My home for the next few months resides on Castle Street, in the heart of the city. My first two weeks involved getting accustomed to the university, learning where my friends from the GlobaLinks program were living, and meeting my flat mates. My flat, from what Tim, my Kiwi host, has told me, is one of the better flats that the university has to offer. The first week of classes is known as Re-Orientation week, where there are comedians, bands, festivals, and the Paint Party (which set the Guinness World Record for largest paint party). This week was filled with many get-togethers and fiestas. It didn’t take me long to figure out that this was a very college-oriented town, and that any night I wanted to go out, there would always be something to do. Each night holds something new and enjoyable, as I grow accustomed to taking care of myself. Through several factors, mainly my inability to cook and the lack of a cheap meals around town, I have resorted to eating an inordinate amount of peanut butter and jelly sandwiches. Between these, scrambled eggs in the morning, and the occasional pasta and alfredo meals, the number of PB&J’s I have taken into my body astounds even the most dedicated of PB&J enthusiasts. My meals have become the epitome of cheap and plain eating. Although no matter how many I eat, each sandwich is more scrumptious than the last. Well, I skipped over a few bits here and there, but Hope College is paying me to blog, not to tell you what I ate for lunch on a Wednesday in a random city in northern New Zealand (it was a pork curry at a Thai restaurant….delectable). PB&J’s for Second Breakfast, Part 2 coming whenever I get around to it. So I’ve been in New Zealand for 4 weeks now, and through absolutely no fault of my own, just got this blog set up. Now it’s time to get everyone reading caught up to speed on what’s going on over here in the Land of the Long White Cloud. However, due to the number of amazingly fun adventures, of which you are sure to be jealous, along with the strange yet titillating mini-adventures on which I have embarked, I have decided to make a 2-part recap of the last 4 weeks. This is PB&J’s for Second Breakfast, Part 2. (Click here for Part 1). After spending the first two weeks of school in Dunedin, 4 other males and I decided to make a last second travel plan to Milford Sound for the weekend. We rented a cheap car and stuffed in there, ready for a weekend of glorious views and mighty peaks. I was the first to drive, in the dark, no less (we left at 6 am), so I had to get used to the left side of the road in a hurry. All was well for most of the drive, as I became accustomed to having the wheel on the right side of the car, when out of nowhere there was a car heading straight at me in my lane trying to pass a truck. I quickly hit the brakes and made a slight swerve going into the shoulder. The other driver did the same, pulling back behind the truck. Disaster was avoided, but the collective heart of our vehicle may have skipped a few beats in that fleeting moment. The highways here in New Zealand are not the four-lane luxury interstates we are used to in America. Here, they are 1 lane, weaving and winding through the hills and mountains of the beautiful landscape, making for a rather enjoyable yet slightly more dangerous driving experience. As we moved closer to the Fiordland National Park, the scenery became even more delightful, as we were greeted by mountains with snowy peaks before our very eyes. We stopped at several locations along the way to take in the scenery, and I could barely contain myself. I was in absolute awe at the majesty of the famous fjords. After a brief dip in the shimmering, yet freezing, waters of Lake Te Anau, We were almost to our final destination: Milford Sound. To access the sound, we needed to go through Homer Tunnel, which cuts a half mile through the heart of the mountains. After another long, winding road through the valley between the peaks, we were at the sound. It was a breathtaking view, as the mountains seemed to jut out the water until they reached the stratosphere. Since the only way to really see the sound is to take the somewhat pricey cruise along the lake, and since we were trying not to spend too much this weekend, we decided to make camp outside of the Sound. After exiting Homer Tunnel, we made our way to the picturesque Lake Gunn, where we made camp for the night. After a night of charades, which would soon become commonplace amongst the group, we were ready for a nice hike up Key Summit the next morning. We proceeded up along the trail through the rainforest-type flora and fauna, basking in the glow of Mr. Golden Sun peering through the treetops. There were several views of a small yet gorgeous waterfall, as well as a certain point that looked like there was a way to climb down to get a better look (we’ll get to this later). We reached the top of Key Summit, but were greeted by views that we did not expect nor welcome. It was fog. Nothing but endless fog. What was supposed to be a lovely view of the surrounding mountains was nothing but a collection of liquid water droplets suspended in the air near the Earth’s surface. We continued to walk around at the top, before admitting defeat to Mother Nature and headed back down. On the way down, I spotted a way to climb down to a waterfall, and could not pass up the opportunity. I used roots to slowly ascend down the muddy hill, before sliding down the last 15 feet. The view was incredible, and I was glad I climbed down, but I soon realized getting back up would not be an easy task. It was all muddy with no firm roots for me to grab hold. There was a creek that looked as if it would take me in the direction of where the path had started, so I yelled up to my friends to meet me down a ways. After walking along the creek, I found myself at the edge of a previously unseen large waterfall, with no way down. I started to worry how I would escape, before finding another way up through the jungle. I climbed up for a few minutes before finding the path, and proceeded to catch up to the others, who were less than jubilated that I had attempted such a foolish feat. The next day, we made a long hike up to Lake Marion, which turned out to be a stunning sight. I climbed out to a rock peninsula, briefly removing my socks and shoes so I could wade out a bit further. There was a waterfall to the side, and the combination of the clear lake and large mountains made for a rather peaceful feeling. Our time in the Fiorlands was over, and I am filled with serenity any time I picture the amazing scenery that was upon me that weekend. We returned home, and caught up on our rest before class began again on Monday morning. The very next weekend, we were back to the trails. This time, it was to the Catlins, south of Dunedin. Our plan was a simple two-day hike while camping out overnight. The hike was lovely, as we cut through the amazing jungle, whilst waking across several catwalks that seemed about as sturdy as a Kardashian marriage. Just before dusk, we arrived in an open field where we would set up our tents. As the moon and stars became apparent, we built a nice little fire and gazed at the heavenly cosmos above. The beauty in the skies that night was almost enough to make me want to switch my major to astronomy. For the first time in my life, I was able to see the Milky Way peer through our Solar System the same way an Osprey peers through the water to spot it’s next meal. It was simply a breathtaking experience. The next morning, we made the tramp back to our cars and headed to a town nearby, where the sweet old lady running the local museum gave us directions to a waterfall in the area, as well as a lighthouse lookout called Nugget Point. After briefly viewing the cascading falls, we made the short trip to Nugget Point. Here, we feasted our eyes on the vast waters of the Pacific. We walked out to the lighthouse, where we were able to see some sea lions on the rocks down below. After this, we returned back to Dunedin for yet another week of classes. Keep in mind, that during all of these stories, I am averaging about 2.5 PB&J’s per day. During the weekend trips, it’s literally all I eat. I’ve found that the best way to pack food for these journeys is to pre-make PB&J’s, so that you don’t have to carry the ingredients with you on your excursion. Because of this, I have decided to keep track of the number of PB&J’s I ingest this semester. I will also update the count at the end of each blog. Thank you for taking the time to read my 2-part recap of my first 4 weeks in New Zealand. There are plenty more adventures to be had, so I’m sure I’ll have no problem keeping this blog as updated as humanly possible.